To date, Casamance has lost over 10 000 hectares of its forests to illegal logging, representing an estimated 1 million trees. The Casamance forest area covers 30 000 hectares and is known for its rare tree species. This includes rosewood, which is particularly high in demand in China. 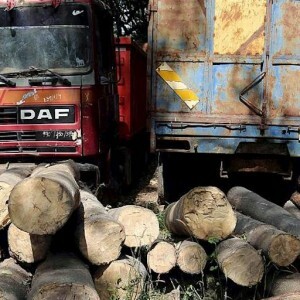 In May 2017, a prominent Senegalese ecologist and former minister of environment, Haidar el Ali, warned that ‘within two years, there will be no more forests in Casamance’. The past decade has also seen increasing involvement by Chinese actors, who are reported to operate largely in northern Casamance, along the Gambian border – and to a lesser extent along the southern borders with Guinea-Bissau. Their involvement has been linked to the huge demand generated by China’s rapidly developing wood industry. After Nigeria, The Gambia is West Africa’s second largest exporter of timber to China. Between 2010 and 2015, the country’s export of rosewood to China was worth an estimated US$238.5 million. This is a staggering volume, especially since The Gambia has almost no remaining forests. This might suggest that much of the timber exported to China comes from Casamance. A high-ranking Senegalese official, who spoke on condition of anonymity to the Institute for Security Studies’ ENACT organised crime programme, confirmed that the situation had not changed. According to the official, measures have only resulted in a recircuiting of smuggling routes. Senegalese authorities should continue to improve socio-economic conditions and prospects for Casamance’s youth. Most importantly, the government must address the issue of graft, particularly by empowering anti-corruption bodies in partnership with dynamic civil society organisations.